New Delhi: The state-run gas utility and the country’s leading gas pipeline infrastructure company, GAIL India Ltd, has decided to retender or ask again for bids for supply of pipes for its Vijaipur-Dadri-Bawana pipeline project amid allegations of graft in the first tendering process. This will benefit the utility because steel prices have come down since the original tender, which did not have a so-called discount clause that would require the bidder to pass through the benefit of any fall in prices to the customer. “There have been a lot of complaints due to which we have taken the decision to go for retendering," said a senior GAIL official, who asked not to be named because he said the issue was a controversial one. He declined to elaborate on the subject. Mint couldn’t independently ascertain the nature of the allegations. The company had floated the tender for the supply of 1,00,000 tonnes of pipes on 14 August to which eight domestic and overseas firms Welspun Group, Man Industries (India) Ltd, PSL Ltd, Jindal SAW Ltd, Europipes (UK) Ltd, Marubeni, PCK and Izhora Pipe Mill had responded. The last date for submission of bids was 18 September. The Rs5,500 crore pipeline is expected to have a transmission capacity of 78 million standard cu.m per day of gas after completion. Steel prices have come down sharply since the original tender. When GAIL floated the tender in August, the price of steel was Rs42,000 per tonne (commercial grade steel). The corresponding price in early November was Rs35,000 a tonne. “Prices started falling from June-July onwards and sharply in September-October due to panic reaction. There will be pressure on prices and they will not rise in the near future," said Ahmed Shah Firoz, an independent consultant who works with the steel industry. “Because of the lowering of the steel price, the bid value should come down," said U.D. Choubey, chairman of GAIL. While the tender did not have a discount clause, it had a so-called pass through clause, which meant that if the steel prices had gone up in the future, the bidder would have been able to pass on the increase to the customer. GAIL will invest Rs18,000 crore in the next four years to extend its pipeline network to 12,600km. It currently has a pipeline network of 7,000km. The expansion will be undertaken in two phases. In the first phase, 2,200km of new pipeline network will be completed by 2009 when gas from the Krishna-Godavari basin starts flowing. The rest of the project will be completed by 2012. 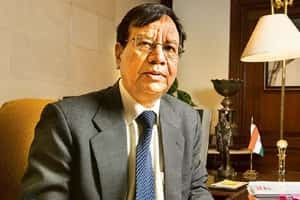 GAIL is among several state-owned Indian firms that have signed an “integrity pact" with Transparency International India (TII), the local chapter of a global non-profit that tries to combat corruption. Signing the pact means that GAIL has to guarantee transparency in its public procurement deals.